For this holiday season I’ve put together another Music Video that tries to capture the fun and reflection of years past. What better way to relive some retro than to pull out the holiday staple from the late 50’s to mid 60’s? The symbol of over commercialization of Christmas played out in the classic holiday special, ‘Charlie Brown Christmas’. Several months ago I found myself trolling through the avenues of Ebay searching for the iconic symbol from the end of the Machine Age, the Evergleam Aluminum Christmas Tree. Complete with the revolving stand and the revolving colored light - classic retro. It's the seasonal visual display that screams retro at a time when retro just seems to fit. I’ve seen so many polaroid pictures of the minimalist / futuristic tree with the time period appropriate furnishings of a contemporary pad. ‘Groovy Baby’. What makes them sounique was the actual aluminum foil branches that would reflect and glitter when the tree rotated and also had changing colored lights shining on them. Unlike natural trees, the use of electronic ‘string’ lights was not possible due to the conductivity of metal branches (electrical short circuiting). The solution was a color wheel which would essentially be a spot light with a revolving plastic colored lens that would slowly rotate to make the aluminum branches appear to glisten. As with fire in a fireplace/firepit or water features that constantly move, the overall visual effect is hypnotic. The Aluminum Specialty Company in Manitowoc, Wisconsin produced one of the most popular and most desirable trees at the time, The Evergleam Aluminum Christmas Tree. These could be purchased for $25. 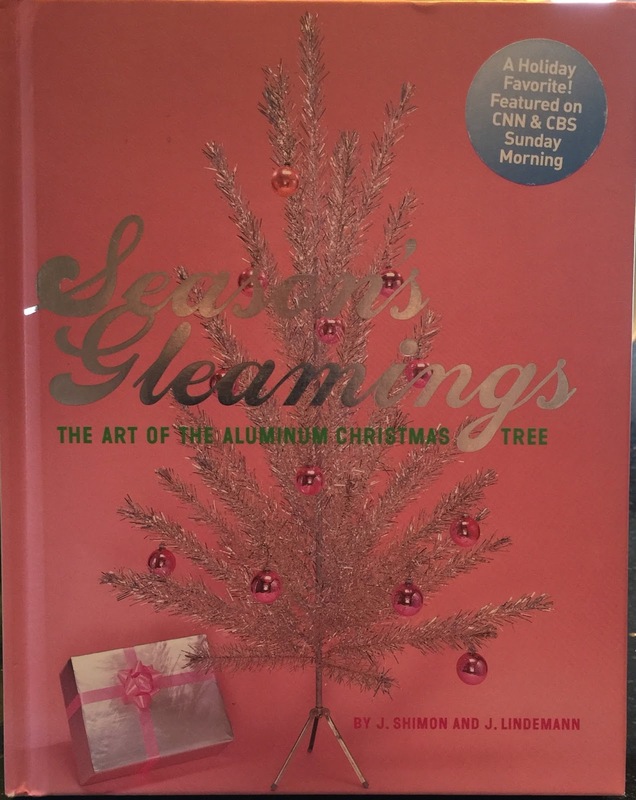 With the desire to ‘get back to nature’ and ‘all things natural’ movement during the late 60’s and onward, the aluminum Christmas Tree found an attic spot for many years and then became an estate sale regular. Today these relics can be found at garage sales occasionally but mainly on Ebay and in antique shops that now know their worth, as many buyers look back to past Christmas's to relive some precious memories of their youth or to just embrace classic Americana. The book ‘Season’s Greetings, The Art of the Aluminum Christmas Tree’ by J. Shimon & J. Lindemann is a book of the story and the photos that the authors put together of their collection of trees that they acquired upon returning to Manitowoc, Wisconsin to open their storefront gallery. Here's my Music Video of the Classic tune, ‘O Christmas Tree’. There is no other time of the year that the Retro Vibe is so thick. It’s not hard to find Retro elements all around during the holiday season. Pulling out your Christmas tree ornaments & decorations that were handed down from past years(some, even generations). Also, the latest trend in party themes, The Tacky Sweater Party comes to mind. In entertainment, there are so many Classic Black & White films and Classic audio recordings, that come out during the span between Thanksgiving and New Years. Versions of Christmas songs by the famous crooners can be heard on radio, TV, malls, Shopping Centers and just about everywhere. How many times can you watch, “Its a Wonderful Life” or “Miracle on 34th Street”? It’s tradition. The association of these holiday films and tunes echoes back to a simpler time which really is the message here: Giving, Sharing & Enjoying. Also the idea of ‘kicking back’ and smelling the roses which is main idea of the ModernRetro Lifestyle. The Yule Log was created in 1966by Fred M. Thrower, President and CEO of WPIX, Inc. Inspired by an animated Coca-Cola commercial a year earlier that showed Santa Claus at a fireplace, he envisioned this television program as a televised Christmas gift to those residents of New York who lived in apartments and homes without fireplaces. This also provided time for employees of the television station to stay home with their families, instead of working for the usual morning news program. Here is my YouTube music & ambience video that I’ve put together that will help get you in the mood. It is a High Definition(HD) video of logs burning in my fireplace with a stereo recording of the crackling fire combined with Holiday music, that is a real audio / visual experience. ‘Mr. 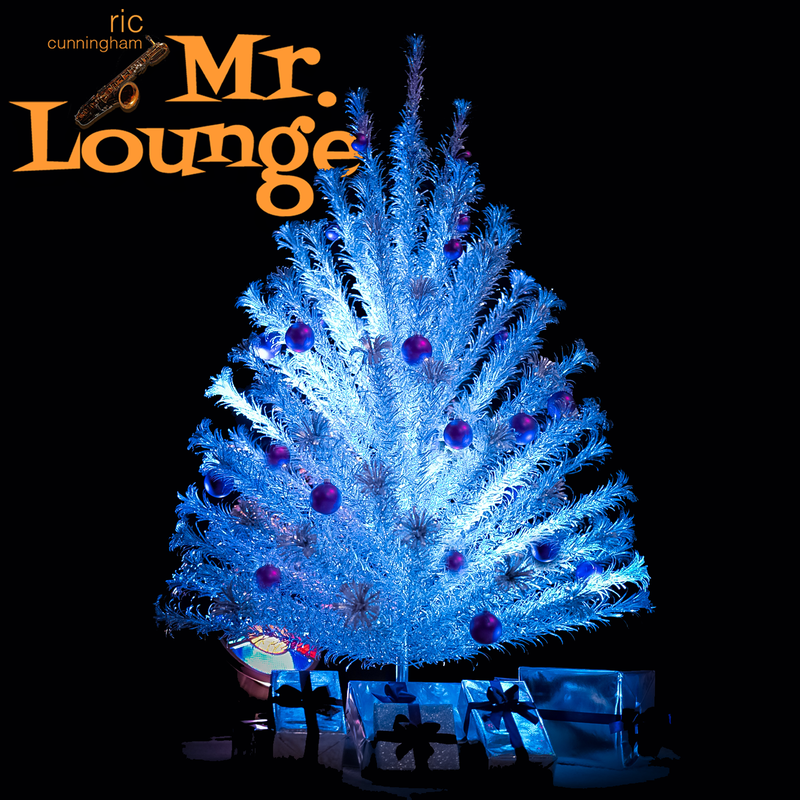 Lounge’s Yule Log’ features a beautiful song titled, “All Through The Night”, a Welsh Folk song dating back to the 1700’s. With the help of my friends Joe Grieco on piano & Tom Majesky on guitar, I added some layers of percussion instruments, vocals and alto sax to the arrangement. The beautiful melody comes through with a nice pulsating groove to give the song an updated feel yet still retain the simple, calming ambiance. BTW - There are so many great tunes that can only be played at this time of year. It’s fun to pull out the classics for a short period of time every year. The window of opportunity is short which make them extra special. “All Through The Night” is a Holiday Classic yet it can work on it’s own so you can enjoy the “Log” anytime you need a 5 Minute break and a cozy fire to curl up to. The video featured cocktail is a classic Crantini. Shaken and strained to a chilled Martini glass with a couple of lime twists and fresh cranberries(soaked in vodka) for Holiday effect. Also check out my rendition of “Silent Night”, where I perform ‘Live in Studio’ the classic Holiday tune in a SmoothJazz / Modern Lounge style that also works well ‘Late Night’. 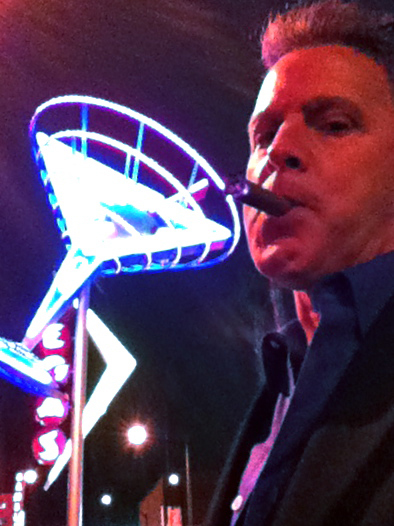 If you’re trying to find a little bit of remaining Retro Cocktail feel in Vegas you must leave the Strip. 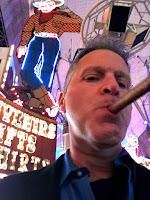 Just down the road to Fremont Street in Downtown Vegas you will find a revival going on in terms of Las Vegas’s history. Downtown Las Vegas was the original gambling center prior to The Strip with the historic casinos: The Golden Nugget, Lady Luck, The Golden Gate, The Western, Las Vegas Club. The effort to revitalize the area started in 2006 with The Fremont Experience. The Fremont Street Experience consists of the closing of Fremont St. to vehicular traffic, a long canopy covering complete with the worlds largest audio system/video screens and the homage to neon signs. Las Vegas was all about neon lights in the early days. Even the classic Las Vegas Welcome Sign shows its colors before you even enter the strip, but The Strip itself never embraced the historic value of neon and instead went the new direction with video monitors and fluorescent lights when the older casinos were removed. Recognizing this, the Neon Museum was established and has been collecting these historic relics since the 80‘s. 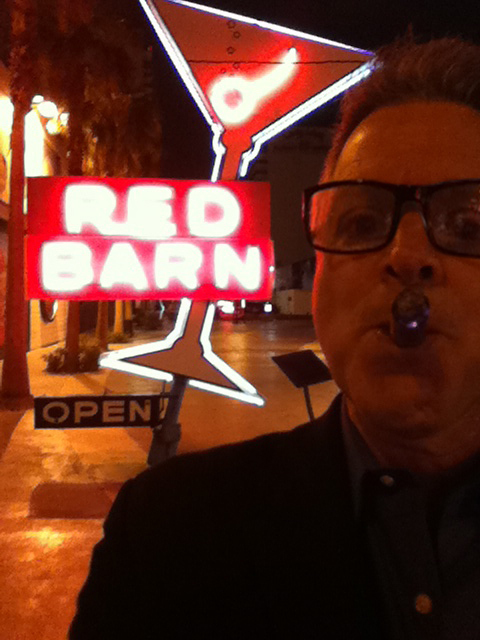 Their goal has been to save and display this illuminating history of Old Las Vegas. Many historic neon signs have been saved and had been stored at the Young Electric Sign Co. and then relocated to a new location called The Neon Boneyard.These treasures have been transformed from a waste by-product of the ever changing landscape of Vegas’s growth, to a very important part of their history. Several restored signs have been placed along Fremont Street with little plaques describing their history. Try to see all of the fully restored signs that are lit up every night in the downtown area. Vanguard Lounge I missed, but it’s also in this area where you can hit one after another along with a walk around to see the displayed neon signs in all their retro glory. Where's the Retro in Vegas? So last week I go out to Vegas for 5 days, with some guys to get away from this insufferable New England weather. 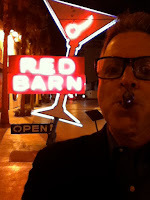 While I'm out there I decided I was going to do a search for the perfect Sapphire & Tonic(it's fun to have an agenda). As I'm heading out there I'm realizing that there probably are going to be many variables in the 'search'. But, we have a mission, this is good. By the way, this is my mission. Everyone else has their own experience in mind but all are up for the tastings around town with me. That's the funny thing about drinking..usually everybody's in, especially in a town with such a adventurous slogan. Over the course of the 5 days we hit some pretty exciting spots and have the opportunity to experience some very exotic cocktails. That's exotic, not a typo.